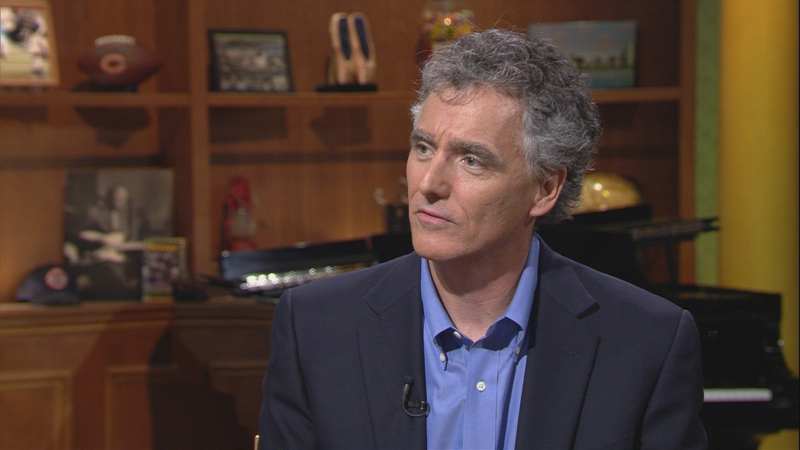 Cook County Sheriff Tom Dart appears on “Chicago Tonight” on July 13, 2017. In an effort to raise awareness about the opioid epidemic facing Cook County, Sheriff Tom Dart has launched a podcast. Titled, “Breaking Free: Dispatches from the Opioid Crisis,” the podcast aims to expose the “devastating nature of opioid addiction,” according to an article on the website of the sheriff’s office. The first episode of the podcast features a 16-minute interview with a 24-year-old man who nearly died in May after he was discovered unresponsive on the bathroom floor of a Skokie courthouse. The incident was caught on a body camera. Officers saved his life using the overdose-reversing drug Naloxone, and the man is now receiving drug treatment at the Cook County Department of Corrections. His addiction began with a prescription for opioids to treat a shoulder injury. “I was taking (the medication) as prescribed but I did feel the euphoric side effects from the medication. They were very pulling and something I enjoyed very much,” he says in the podcast. Approximately one in five Cook County Jail detainees admits to opioid abuse and hundreds receive treatment each day, according to the sheriff’s office. The podcast is part of an Opioid Crisis Awareness Initiative launched last year by Dart. His office plans to release a new episode each month.